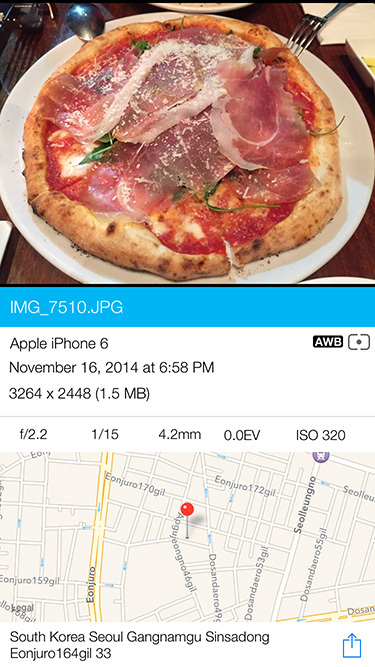 Many users feel lack of functionality and usability with iOS native Photos app. 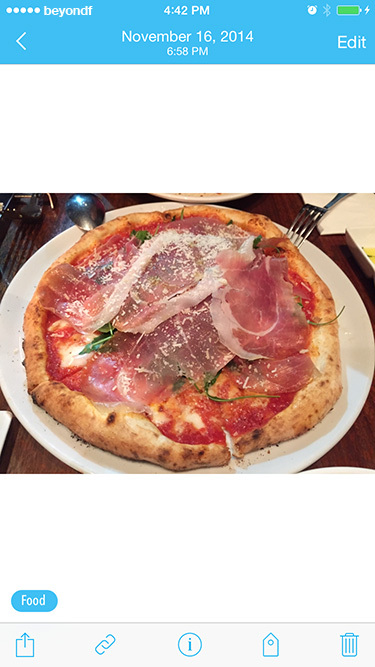 There are many photos in iPhone/iPad but it’s very hard to navigate photos you want to see. Scroll up/down again and again. 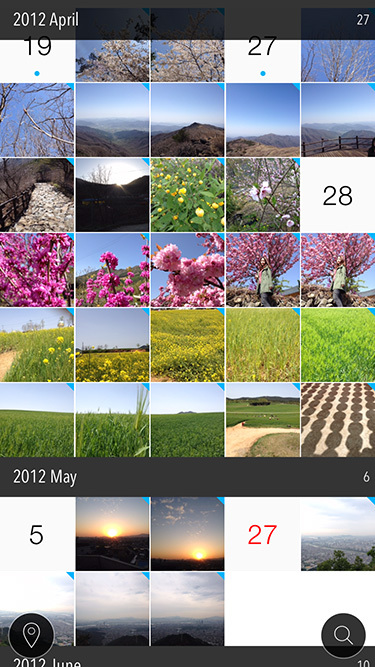 #Photos(HashPhotos) offers great way to view, manage and edit photos. 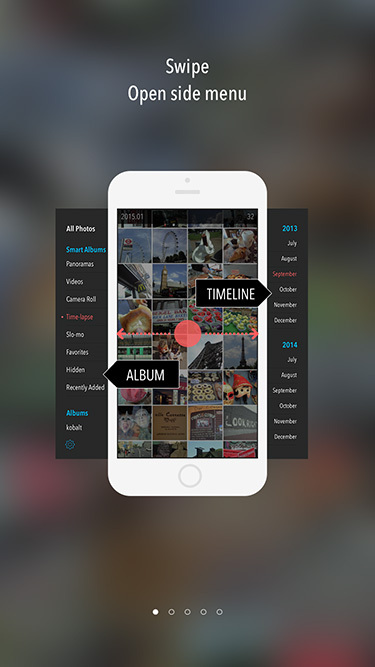 If you are looking for a replacement of native Photos app, #Photos will be your final stop. Main screen only focuses on photos. 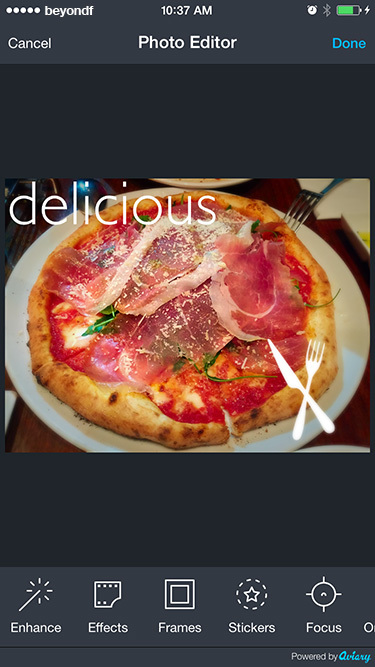 #Photos uses all screen areas to show thumbnails. 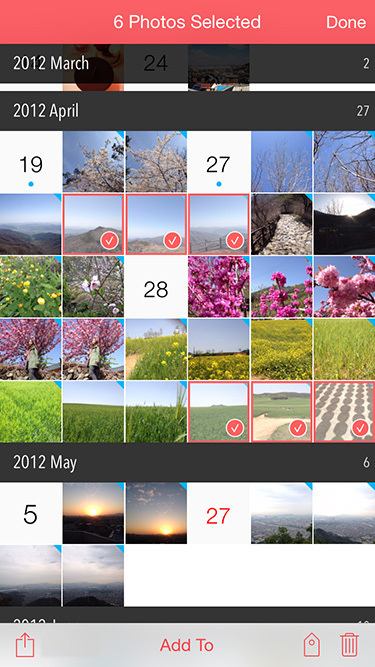 By default, photos are grouped by month and shows date cells. You can recognize when those photos taken without any actions. 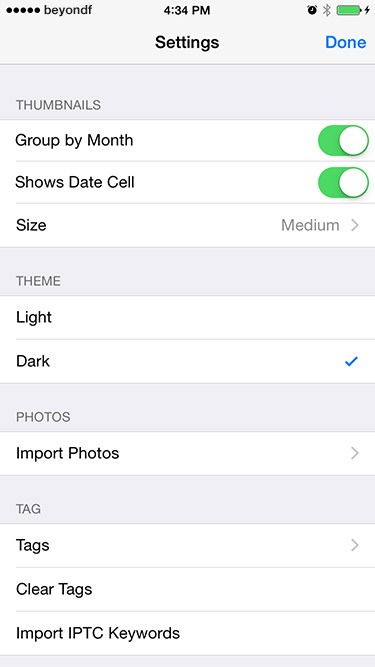 If you want photos not to be grouped by month or don’t want to see date cells, you can set these in settings. Also you can choose thumbnail size small, medium or large. If you choose small thumbnails you can see more photos at once. Swipe left/right shows side menus. You can select and manage(add/rename/delete) albums on left side menu. On right side menu, you can see timeline of your photos. 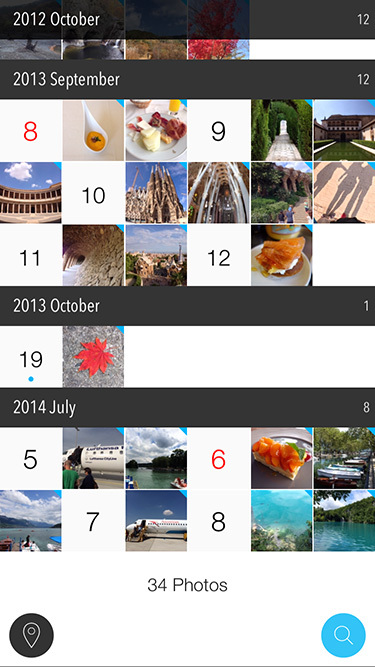 If you tap date cell among thumbnails, you can set date event title which is shown in this timeline. With this timeline, you can overview your life events and navigate fast and easily. If you tap a thumbnail, you can see a large photo just like native Photos app. But you can do more things in #Photos. 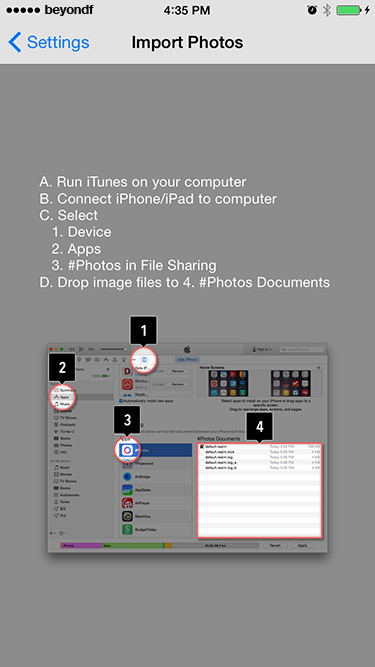 Share, Open with other apps, View photo meta information, edit tag and delete. Also a photo can be edited with powerful Aviary Photo Editor by Adobe embedded in #Photos. #Photos embed Aviary Photo Editor. Aviary photo editor support great filter effects, frames, stickers, crop, adjust, focus(tilt shift), draw, text and more functions with easy interface. Long press a thumbnail begins selection mode. 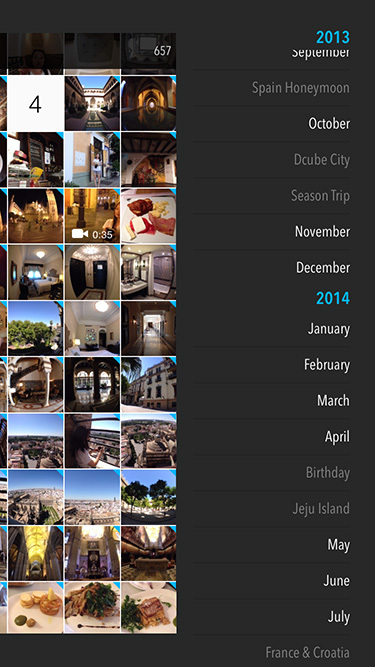 Select multiple photos by tapping date cells or thumbnails then you can share, add to album, edit tag or delete. Tag editor is easy and powerful. 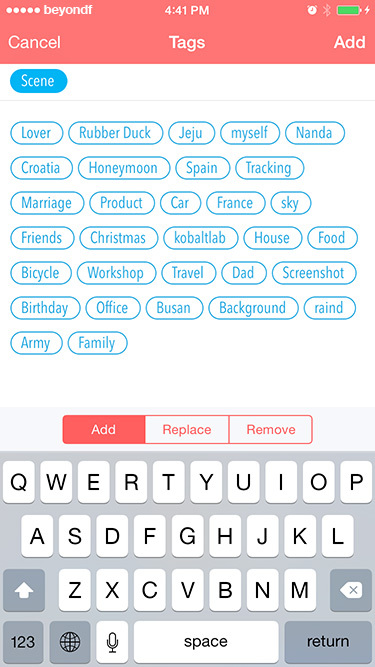 You can add new tags, replace tags or delete tags from photos. You can search photos by tags and places. Tap magnifier button on main screen to search photos by tags. 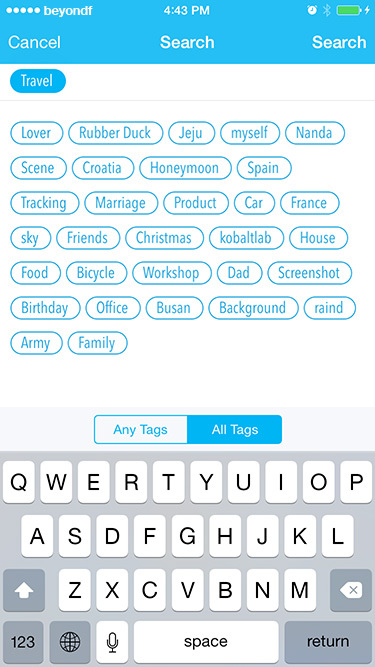 Type or select tags you want to search and choose mode “Any Tags” or “All Tags”. 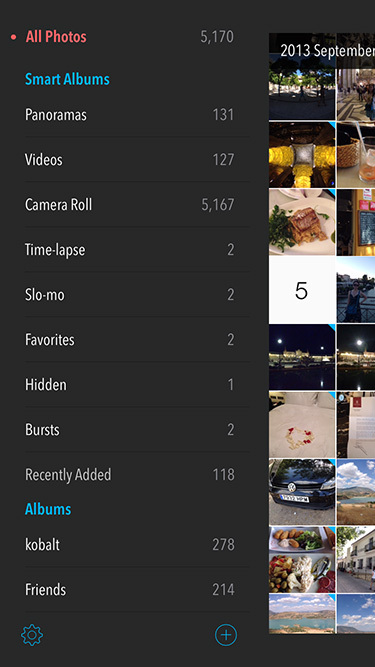 If you choose ‘Any Tags’, #Photos search photos having any of selected tags. On the other hand, ‘All Tags’ search photos having all tags you selected. While showing tag search results, magnifier button color is blue. if you long press this button in this state, tag search filter is reset. Tap location button on main view to see photos on map. 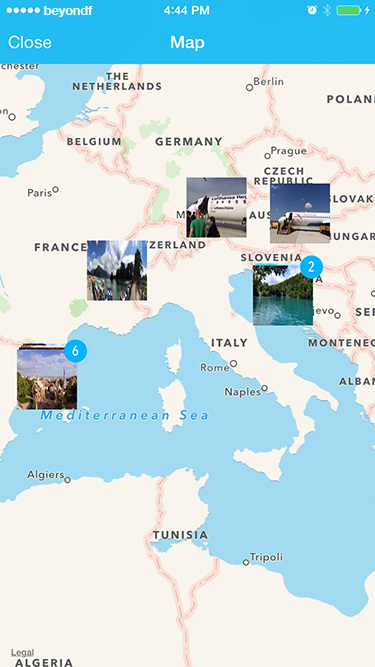 Navigate photos on map and tap a photo group will show only photos taken in that location. And like magnifier button, long press location button to reset location filter. You can change some UI settings and manage tags. One more powerful function is in Settings. You can import photos from your Mac/PC via iTunes file sharing. If you just want to import some photos from Mac/PC and don’t want to sync, it’s little bit hard to find the way. But in #Photos you can do this very easily. Just connect your iPhone/iPad and iTunes then follow the guide. “Disable” “Windows Font Cache” Service and restart Windows.